The IsoWhey range is a selection of various shakes and smoothies that are great for weight loss programs. According to the IsoWhey website, the company's products have all been 'scientifically formulated by qualified healthcare practitioners to give you pure whey protein in the right balance.' By providing the body with healthy proteins and nutrients in the most beneficial doses possible, IsoWhey seeks to help customers feel great and lose weight at the same time. So how does it work? IsoWhey offers a balanced and pure dose of whey protein, which is generally regarded among health experts as one of the best sources of protein available. Loaded with essential amino acids, vitamins, minerals and other nutrients, whey protein in general—and IsoWhey in particular—is great for developing lean and strong muscles, healthy bones and more. Some scientific studies have even claimed that whey protein can have benefits for treating depression—making this dietary supplement great for building not just a healthy body, but a healthy mind as well. The disparate advantages of whey protein lead many customers to buy IsoWhey and other whey protein supplements for a variety of different reasons. For some users who don't typically get enough protein, IsoWhey can be a great way to create a more well-balanced diet and to make managing weight loss easier. For other users, whey protein is an aid for muscle development—which is why supplements like IsoWhey are popular among weightlifters and bodybuilders. IsoWhey in Australia enjoys a great reputation, with dieters giving the supplement range positive testimonials and reviews. Though whey protein by itself doesn't taste very good, IsoWhey tends to be praised by users for flavoured powders that can easily be mixed with milk, water, juice, other beverages and even yoghurt for good-tasting results. The high praise for IsoWhey has also helped to make the product one of the more widespread whey protein supplements across the country. According to IsoWhey, the company's product range can be found 'in more than 3,000 pharmacies and health food stores' throughout Australia. If you want to avoid the pharmacies and health food stores and would prefer to shop online, visit Mail Order Pharmacy! We stock a variety of IsoWhey smoothies, making it easy for dieters to buy IsoWhey products online and have them shipped anywhere in Australia. Through Mail Order Pharmacy, you can purchase various shake flavours from the IsoWhey range, including double chocolate, strawberries and cream, banana and vanilla. We also offer a number of non-smoothie related IsoWhey products, such as snack bars and tablets. To shop for IsoWhey online, visit our website at www.mailorderpharmacy.com.au and type 'IsoWhey' into the keyword search bar. If you have any issues while buying IsoWhey through the online Mail Order Pharmacy store, please do not hesitate to contact us directly! 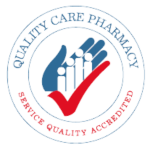 You can reach us via email at sales@mailorderpharmacy.com.au, or over the phone on +61 2 9358 6712.